Whether a wedding is traditional or not, wouldn’t it be nice if there was a rhyme that captured all the do-s and don’t-s at weddings? Perhaps such a rhyme exists or maybe someone should write one but meanwhile here are a few of the key elements of essential wedding planning. Most of us attend several weddings. What perhaps strikes us the most is how, despite the nerves, it all comes together on the day. Everyone worries that their wedding will not go according to plan but on the day it all runs smoothly and no one is offended. However, it is important to highlight some of the crucial elements. They might be common sense but it is amazing how that flies out of the window in moments of stress. From engaging a professional Hampshire wedding photographer to arranging flowers in Cornwall, much of the secret to success is in thorough preparation. If you are having a church wedding then the Church of England Order of Service is a useful guide to start with. Getting it right starts with focusing on the three most important people on the day, the bride, the groom and the guests. Yes the guests are important too because they are witnessing a special occasion and without them there wouldn’t be such a sense of occasion. The guests must accept or decline the wedding invitation before the RSVP date, buy presents from the gift list and should arrive on time. The bride is the major attraction and guests must not outshine her. The groom must introduce his new wife to any guests she does not know. The best man and chief bridesmaid must orchestrate proceedings and must be familiar with the formalities and order of events before, during and after the wedding ceremony. 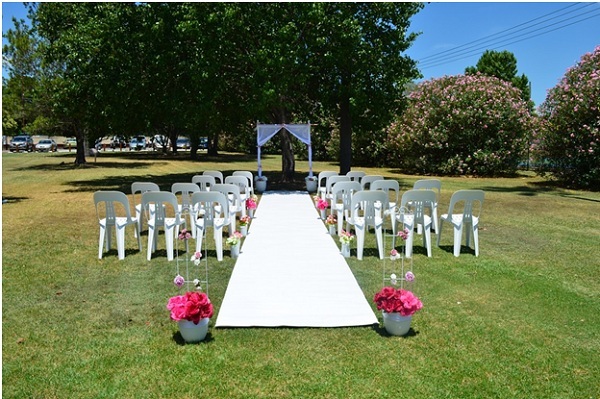 Their primary focus is to ensure that everything runs smoothly and to take the pressure off the bride and groom. Avoiding a stag or hen night the preceding evening is essential! Professional photographers such as Lemon Tree Photography will be familiar with the etiquette surrounding the photos themselves, including appropriate group compositions and sequences. They will also be adept at ensuring that the photography is as unobtrusive as possible.